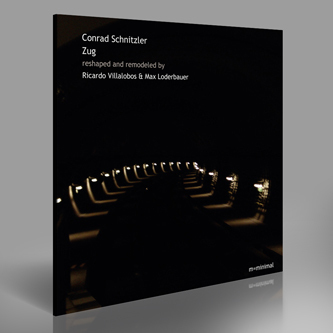 Essential remixes of Conrad Schnitzler by Ricardo Villalobos and Max Loderbauer. Sprawling, side-long workouts by Villalobos are no longer a novelty by any stretch of the imagination, but believe us when we say that the 'Sorgenkind-mix' of Schnitzler's 'Zug' genuinely counts among the finest productions of the Chilean's career thus far. 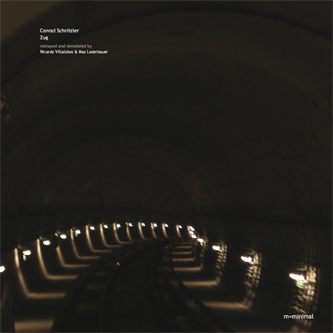 He and his studio partner Loderbauer (Sun Electric, NSI, Moritz von Oswald Trio) bring the same exploratory yet forensically focussed approach to this project as they did to their reconstruction of the ECM catalogue last year. Once again, the technical precision, and the sonic sensitivity, that the duo display borders on the mystical - this is music of unfathomable depth and detail, but also, unlike the ECM versions, real drive. Schnitzler, the former Tangerine Dream and Kluster member who passed away last year, and whose pioneering electronic work has been extensively reissued by Bureau B, originally self-released Zug on cassette - the now fabled Red Tape. Bureau B gave the original, remastered by Pole and Kassian Troyer, a proper vinyl pressing in 2010, before handing over the source material to Villalobos and Loderbauer, who have finally emerged from their Berlin bunker with these two 20-minute+ "reshapings". The Aktion-mix is an elongated dancefloor cut, powered by a pert, propulsive 4/4 pattern and detuned bass, and is totally compelling in itself; but it's the B-side Sorgenkind-mix that has our jaws scraping the floor. 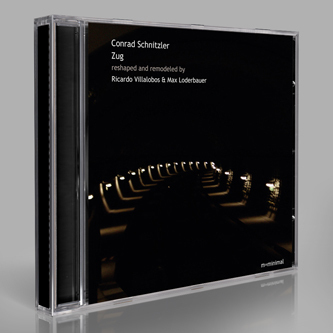 It's honestly quite hard to do justice in words to its immersive, dub-infused sound design, which gives due space and prominence to Schnitzler's eerie, strafing synth tones, while exploring psycho-acoustic back-roads that the German wizard could only have dreamed of. Astonishingly good.